The Shadow Robot Company based in London has developed a new type of robotic hand that is equipped with both 3D cameras and sensors to enable it to “see and feel” objects and adjust its grip accordingly. Using the 3D cameras and sensors the Shadow robotic hand named the Dexterous Hand, can analyse the shape of an object and then calculate the best way to hold it. Watch the video after the jump to learn more. 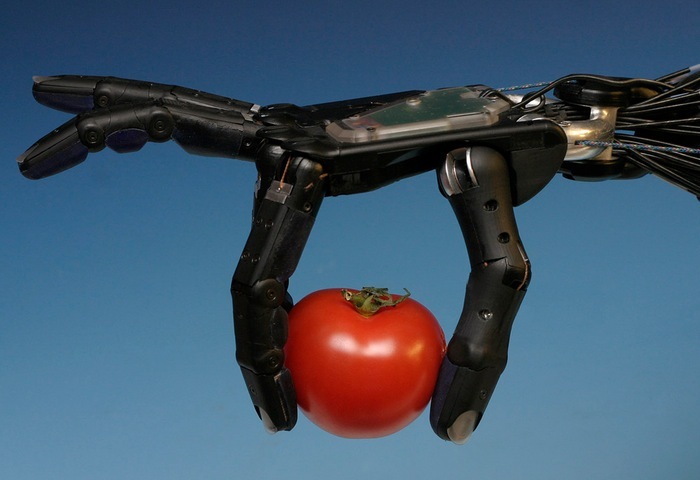 “What we’ve tried to do is put intelligence into the robot hand, and that means sensing. So we’re adding sensors on the fingertips that can understand how the robot is touching the world and interacting with it. And we’re adding 3D cameras so the robot can see things around it and be able to work out how to grasp and manipulate them. The Shadow Dexterous Hand offers 20 actuated degrees of freedom and is now available to purchase for an undisclosed sum, jump over to the Shadow Robot Company for a quote and more information.